with provision for GSSL link and cool sidechain features. Let's keep this tHread clear and elegant as possible. Only questions related to troubleshooting, assembly and part sourcing. For now, please download docs and BOM!!!! Farnell p/Nr's looks like #1123700 in Bom's. maybe, somebody will help us with Mouser or Digikey order codes. And here are the pictures of build progress. Descriptions will be added later as well as VCA notes, adjustment procedure, etc. and replacement board with 1xTHAT2181C. For other VCA's, R100, R3, R4 on audio board can be different. by 1k25. Control port impedance is 832 Ohm. I.e. R6=3k74, R3=4k99, R100=909R. and control port impedance is same as 202x 832 Ohm). I.e. R6=jumper (0R), R3=4k99, R100=909R. For "more sound" use only one THAT2181C, bit misadjusted for more harmonics. no change in control port circuit (NE5534, 100R, 732R). In this case, R3=20k, R6=0R (jumper), R100=909R. It is possible to lower C1 down to 22pF. For other VCA's, refer to datasheet for input, control port and output resistors. Simplest and cheaper solution is THAT2180C, don't install SC_SYM trimpot and R33. There's no need for A version VCA in sidechain. Adjust for minimum distortion with analyzer (audio) and 0mV dc offset (sidechain). Sidechain trimpot (RV1) on audio PCB: changes threshold point... install 5k1 and forget. Threshold trim (TR_TRM): changes threshold zero. Omit (install nothing) and forget!!! (Or use side screw, 50k, 10(25) turns trimpot to change 0db threshold point @ratio=4). Some words about testing the unit. via 3-pin Molex connectors and use pair of same cable assembly's for audio. Than, connect 3 of wire assembly's in parallel-this is for power supply. Other way is testing inside the 51X (500) rack. 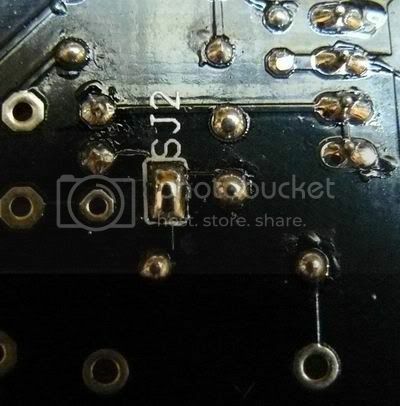 connector to one of audio PCB's, and use longer (20-25cm) ribbons. Check CTL and SC ribbons goes to according boards, say, CTL1/SC1 to left etc. Put audio PCB's inside the rack, to slots...say 3 and 7. This way, we have some space inside the rack to put scope probe or multimeter. Check unit is passing audio with unity gain (make-up at 0) and measure DC offsets. 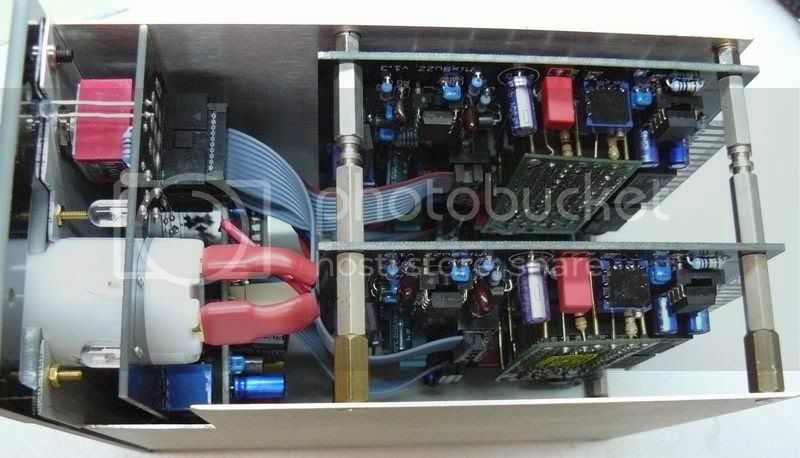 If audio PCB's soldered without mistakes, it should power up fine from first take. The rest is just test the ratios and maybe change R60. and real life experience with nice 4000G lady. Actually, this is feedback compressor which is built across sidechain VCA. /sorry my english / than controls AUDIO VCA. The ratio of "sidechain compressor" is a bit higher than actual audio ratio. Mind, there's no log converter and linear rectified signal controls log VCA's ports. this is not logging, again. applying 10 or 20db more and measuring output again at IC11A, pin1. If 1% resistors used, I think, it is useless procedure, but...just to be at safe side. My sidechain ratios were constant for all builds, about 2.1:1, 4.3:1 and 10.5:1.
input signal 10 or 20 db more, measuring output. Less R60 higher the ratio, more R60 lower the ratio. I needed to change it to 33R only with DBX202X VCA. some adjustment may be needed. I got to exactly 2,4,10 in 3 of MixBuzz500. Use regular, 5 or 5.08mm pitch, 50...63V film capacitors for sidechain filters. Important parts quality-wise are in audio path. C1, C2, C3, C4, C5, C6, C7, R3, R4, R5, R6, R100, IC11 are critical parts. The rest of parts should be within the specs, like in BOM. Use 1% metal film for precision, except R96, 98, 87, 89-these resistors goes to LED's, relays, etc. They can be 10% carbon resistors. R87/R98: 1/4W, 10%, closer value to calculated (see BOM). 12V relays. Coil resistance should be more than 250 Ohm. 90% of relays are within this spec. Each slot consumption according to Lunchbox specs should be less than 80mA. It is better to spent these milliamperes to OPA2604 and quad/eight (DBX202X) VCA. I recommend to use relays with more than 500 Ohm coil resistance. This data easy to get from datasheet. My MixBuzz500 has 960 Ohm coil relays. It doesn't adding the cost (I paid approx. $2.5 per relay). Hey Igor looks fantastic, looking forward to my kit arriving. Just going thru the BOM, and wanted to check re. the Sifam meter, [cos they're not cheap!]. Your Farnel code brings up what I think is the back of panel mounting version? I thought we needed the 'B' version, for front of panel mounting with the full bezel. Thanks for all the hard work you've put into this project. the sifam meter is 1262061 and bezel B is 1262079, everithing is good. Ah, my mistake. Sorry. Thanks for clearing that up. Regarding the meter, Ptownkid's should fit fine (according to datasheet). A-ha! Simply, measure relay's coil resistance with multimeter, or get it from datasheet. 1/2W or 1W resistors will be fine there. Depending on op-amps/VCA's/relay's/VU illumination LED's etc used, 70...200mA. Test proc/assembly guide coming soon. Usually, anode is round, cathode is flatten. My miss, I forgot to print +/- for 5mm led's on PCB. no it's just a new reason to lurn something, for me. does the crimp power on the 12v relay need to be linked with the power crimp of one audio pcb please? that what i seen on your picture. do i have to joined ( stuffed ) the SJ point? and CAPACITOR CBP should be 100nf what does it change please? should be connected to one of boards. Crimp or not to crimp: up to you. I used to solder these pins. 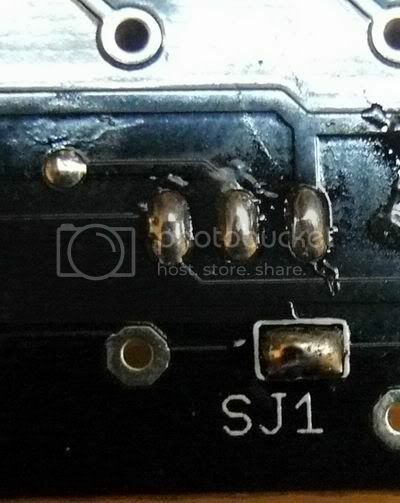 You need only one side at connector, second side of cable can be soldered to PCB. BTW. I cut crimp pins after soldering. This way it goes really easy. Mogami thin microphone cable is my favorite for in/out shielded connections. thank you i have some pin connector at home, and soory i would to says pin connector not crimp. but this are just for the calibration, right? do i have to join ( stuff ) the SJ point? cause one is almost finish avtualy my wife is in hospital, when i'm not with her, visiting, i stuff or i sleep. Yes, this is just for calibration. It is easy to calibrate the unit (if audio boards stuffed correct just with use of 51x rack, four 20cm length 10-pin ribbons, and 20cm wires going to 3-pin Molex (for front PCB power). This is what I did with first unit. but Mixbuzz500 done with mind to minimize it. Other option to calibrate the unit is 4x3-pin Molex connectors (2xpower, IN and OUT). Power should be connected for both L and R sides when adjusting. C&B option. If there's no C&B, these points should be connected, like picture shows. 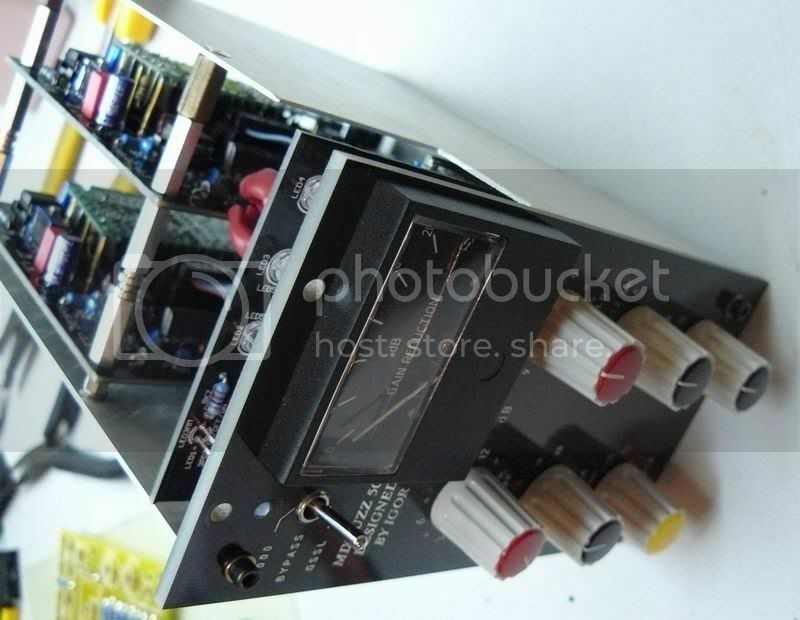 When you put Mixbuzz500 in 51x rack, please do it carefully /not to short power supply. IMHO this is OK for audio. How people was able to live before 51x format appeared?